Celebrating its 10th anniversary this year, Le French GourMay features Provence-Alpes-Côte d’Azur as the official theme region. From May to August, numerous restaurants and hotels in Hong Kong and Macau will be showcasing the culinary traditions and wines of Provence-Alpes-Côte d’Azur. Situated in south-eastern France and indeed at the northern tip of the Latin Arch, Provence enjoys a quintessentially Mediterranean climate characterized by a warm summer and mild winter. Amongst the driest and sunniest in France, this region blissfully faces negligible threat from fungal diseases and has hence become a hotbed of organic viticulture and winemaking in recent decades. The vast majority of Provence’s approximately 20,000 hectares of vineyards are located no more than 50 kilometers away from the Mediterranean coast, whereas any excessive sunshine is mitigated by the mistral. Such favorable climate was a major pull factor to ancient civilizations. Having founded Massilia, modern day Marseille, as a colony and maritime trading post in around 600 BC, the Greeks wasted no time introducing viticulture and winemaking to the region. With Carthaginian peace confirmed and just decades before the birth of Gaius Julius Caesar, in late 2nd century BC the Romans fully occupied the region and established the province of Gallia Narbonensis, which was named after Narbo Martius, modern day Narbonne. The region was perhaps better known as Gallia Transalpina, literally “Gaul thither side of the Alps”, so as to differentiate it from Gallia Cisalpina, literally “Gaul hither side of the Alps”. It was also known as Provincia Nostra, literally “Our Province”, for being Rome’s very first province north of the Alps. Subsequent to the Marian reforms in 107 BC, veterans may after 25 years of service retire with a generous pension and a plot of land. Many opted to retire there, in view of the Provençal climate and good yields it promised. To protect the interests of Italia, Rome’s most populous and prosperous province, the Roman Senate and successive emperors have tried to curb wine production elsewhere, but the veterans apparently stood their ground against politicians as steadfastly as they did against Carthaginians, Macedonians and Parthians. Provençal wine was highly regarded during classical antiquity and its sterling reputation remained until the late 19th century, when the phylloxera plague broke out. High-yielding varieties were planted as replacement, as railroads made it possible to transport wine in large quantities to the industrialized north to quench the thirst of the urban working classes, who had left behind their previous life of mixed farming in the countryside. For a time, Provence tended to focus on quantity, not quality, similar to its western neighbor Languedoc-Roussillon. 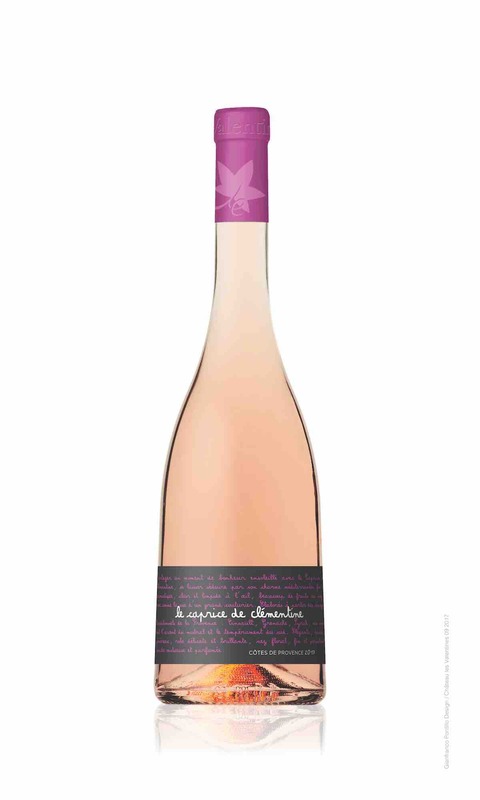 Provence is one of the very few regions in the world whose rosé constitutes a majority in wine production. Prior to the rise of full-bodied and richly colored clarets thanks to the Dutch and British, for millennia the main styles have been vin rosé, vin orange and vin gris, partly due to the limitations of viticulture and winemaking in the pre-industrial and pre-digital eras. All three, however, seem to be making a comeback in early 21st century: vin rosé shows that it can be as substantial as a red wine in disguise; vin orange is currently trending alongside pétillant naturel and natural wine; and vin gris on both sides of the Rhine and beyond is reaching new heights. Samples supplied by Kedington Wines (Far East) Co. Ltd.
A blend of Cinsault and Grenache in equal parts, vinified under temperature control in stainless steel tanks. 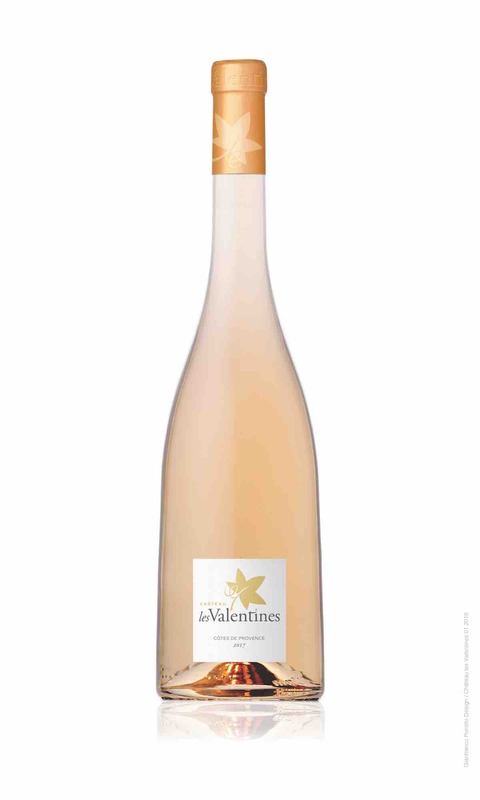 Translucent salmon pink with glimmering vermillion reflex, the dainty and fragrant nose offers pomelo, red apple, garrigue and tulip. Supported by fresh acidity, palpable minerality and traces of tannins, the pure and invigorating palate delivers grapefruit, pomegranate, crushed rock and geranium. Medium-bodied at 13%, the crunchy palate carries onto a minerally mid-palate, leading to a clean finish. An organic blend of Cinsault and Grenache from 40-years-old vines, cold macerated and vinified under temperature control in stainless steel tanks. Transparent coral pink with shimmering tea rose reflex, the floral and uplifting nose presents white strawberry, peach, water lily and crushed shells. Braced by buoyant acidity, clear minerality and traces of tannins, the fruity and refreshing palate supplies whitecurrant, pink apple, herbes de Provence and fleur de sel. Medium-full bodied at 13%, the crispy entry persists through a saline mid-palate, leading to pristine finish.